Dubai: Nabil Mourad is no stranger to a big race encounter. He’s been at some of the biggest racing stages across the globe. So you would imagine that he is unlikely to be fazed at the prospect of having a major player on an occasion like the Dubai World Cup. But not so. Mourad admits to feeling the butterflies play havoc in his stomach as the countdown to Saturday’s big day intensifies. Mourad is living the dream of having a runner in the Godolphin Mile (G1), in one of the nine glittering races that make up the $35 million card at the Meydan showpiece. He took a couple of runs to get used to the dirt but in his last race he really flourished he knows what it’s all about [dirt racing]. 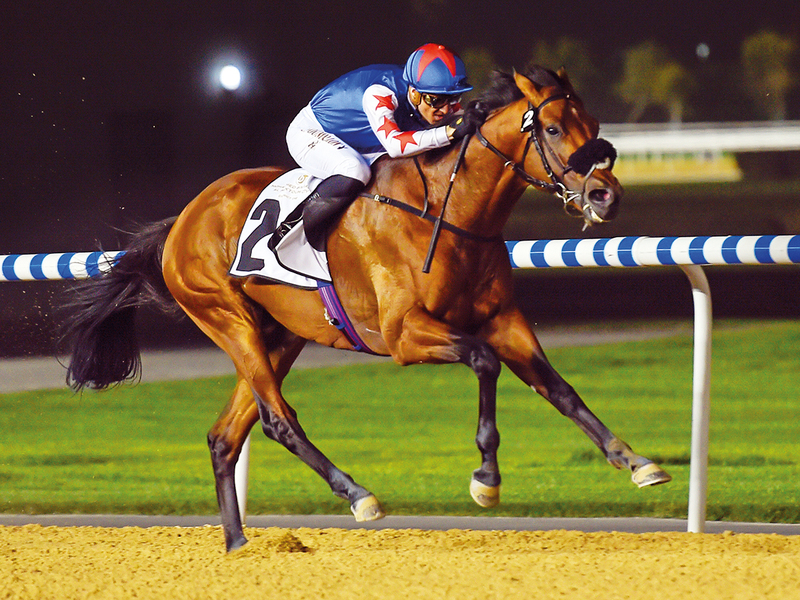 African Ride, a former French-based horse who has absolutely thrived since arriving in Dubai this season, stamped his ticket to the race by winning a hot contest at the Dubai World Cup Carnival last month. “I’m really excited and looking forward to the race,” Mourad told Gulf News yesterday. “It’s a beautiful occasion and to have a horse represent you with the whole world watching, is amazing. It’s a dream come true. “We are aware that it’s a very tough race with many top milers from the UAE, America and Japan, but anything can happen in a horse race. “You’ve got to be in the race, if you hope to win it,” added Mourad, a businessman and breeder of Purebred Arabian horses. As a long-time associate of His Highness Shaikh Mohammad Bin Rashid Al Maktoum, Vice-President and Prime Minister of the UAE and Ruler of Dubai, Mourad has been privileged to witness some of his greatest victory as an individual owner and with his Godolphin stable. Total prize money for the nine-card World Cup meeting to be held on Saturday. Meanwhile, the significance of Mourad’s incredible journey was not lost on Edward Crisford, assistant trainer to Simon Crisford, who has successfully transitioned African Ride from being a turf horse into one that acts on a dirt surface. “He took a couple of runs to get used to the dirt but in his last race he really flourished he knows what it’s all about (dirt racing),” said Crisford. “It’s extremely exciting for us and obviously for Mr Mourad, who has been a strong supporter of my Dad all these years. Looking ahead to the Godolphin Mile, Crisford said: “He’s drawn the eighth post and he’s got the favourite Muntazah on the inside. “If he jumps well and gets a good position he will run a really nice race. “It’s a tough race with many good horses who will be hard to beat but with a horse like African Ride you just never know. “Christophe (Soumillion) will be on board, just as he’s been right from the start of African Ride’s dirt season,” he added. “Christophe knows the horse well and they get on really well.